Wadada Leo Smith, Oliver Lake, Fred Frith, and Andrew Cyrille. I am humbled by these masters. This is their interpretation of Eridanus, a constellation that zigs and zags, representing the river no mortal eyes have ever seen. I’m not sure this combination of players had ever performed together before this day last December. Not that I know of in any case. This track is a masterful blend of crafty electric guitar textures, coloristic drumming, and simply brilliant sonic adventurousness from both horn players. Surprising unisons, gorgeous use of space, and an amazing climax in the last minute featuring blazing trumpet work from Wadada. Amazing performance that I am proud to share with subscribers to Greenleaf Music who receive these monthly tracks of Metamorphosis. 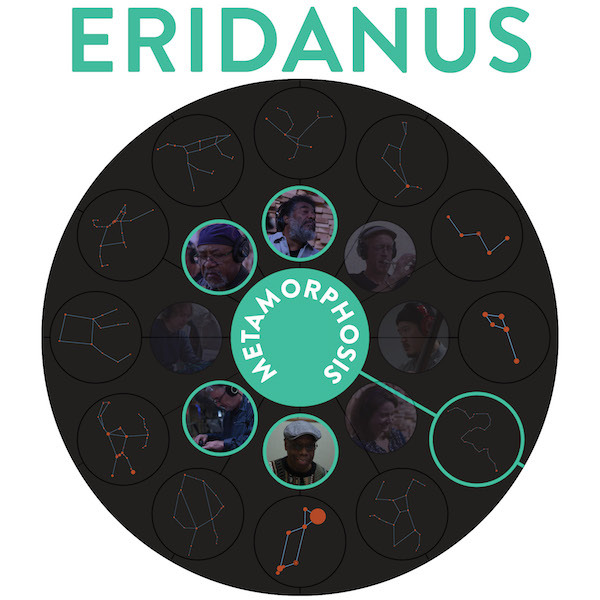 Greenleaf Subscribers can stream and download Eridanus on Bandcamp along with all of the tracks from the Metamorphosis series. Click here to learn more about the Metamorphosis Subscriber Series. Program notes can be found here.